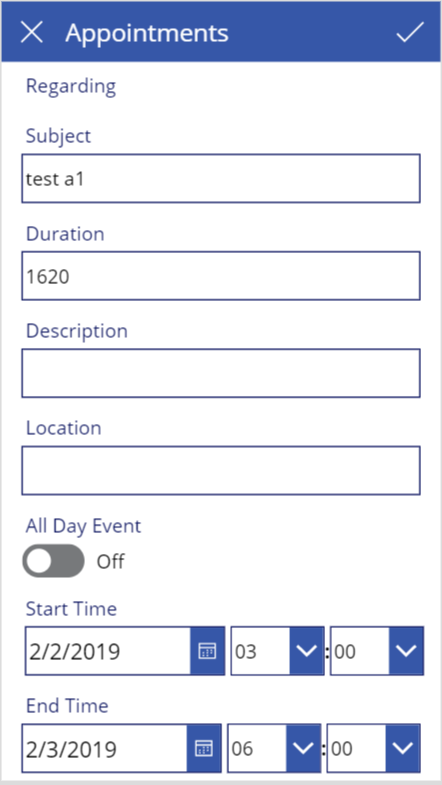 Power App helps you to create a quick mobile app to show details of your CRM organization. 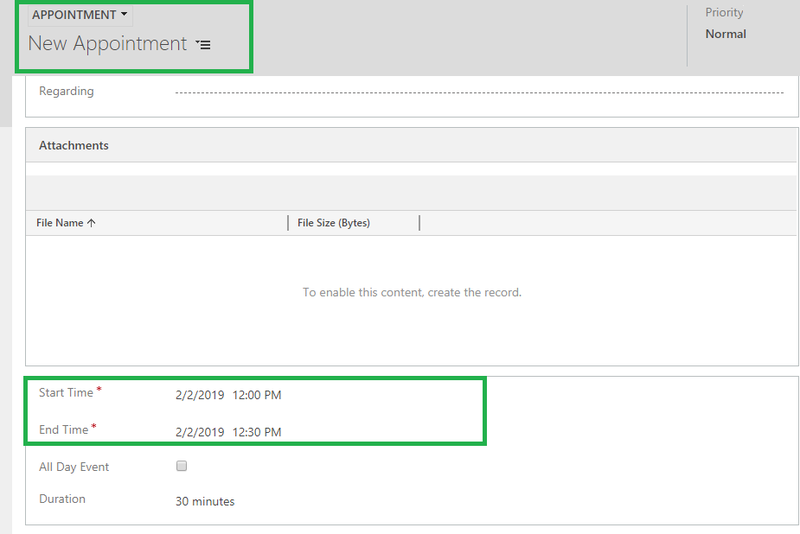 In today’s blog, we will explore more on how to set Date and Time field of Dynamics365 in Power App. 1. 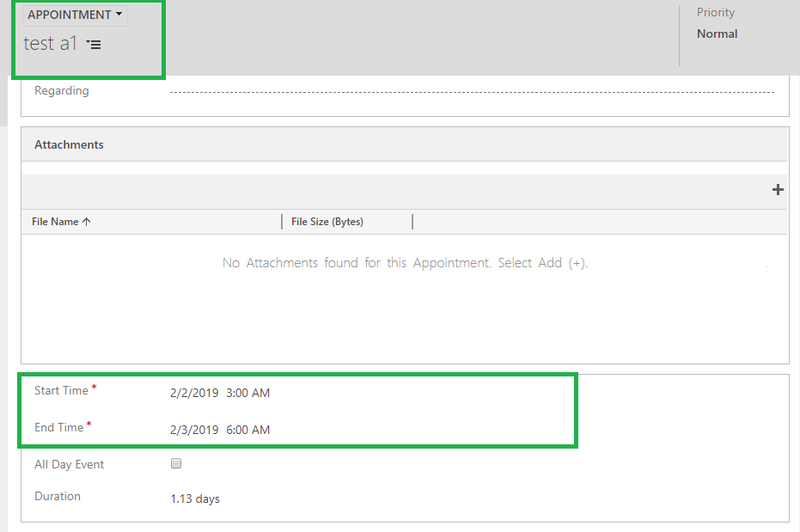 Create a default Canvas app for appointment entity by using Dynamics 365. 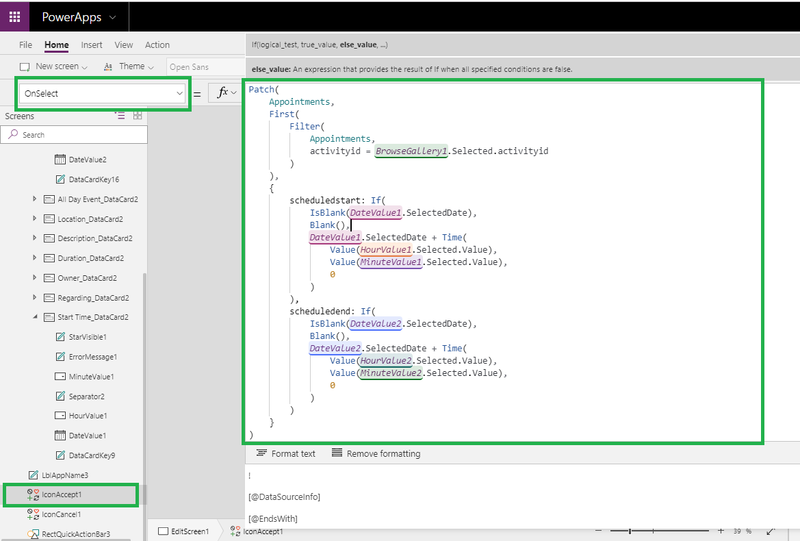 You can refer our previous blog here. 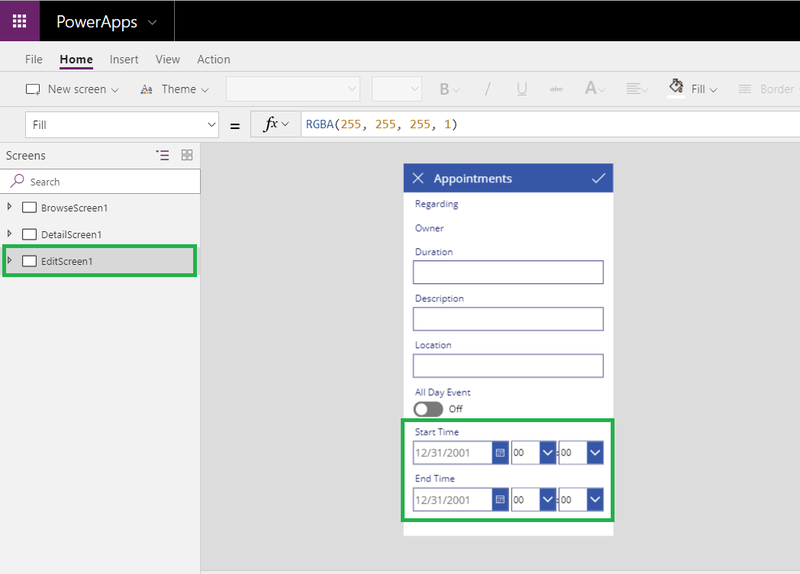 Let’s set the value of “Start Time” and “End Time” through Power App. 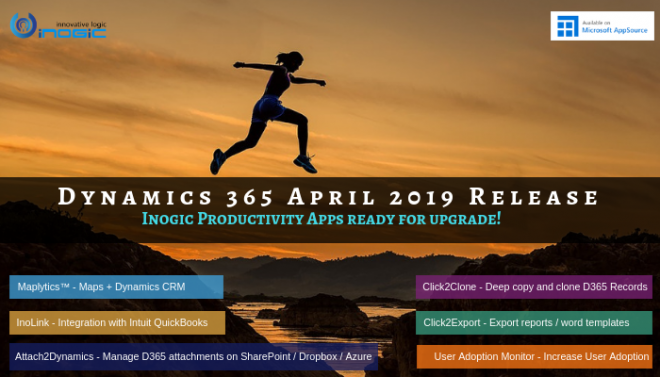 By using the simple steps we can set date and time fields of Dynamics365 in Power App.